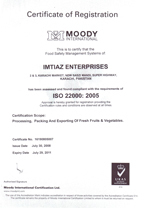 When you think about Quality, think about Imtiaz Enterprises. Quality is a source of inspriation, statisfaction and pride. We are commited to customer satisfaction through hygiene, quality and consistent timely supply of our products. We have a efficient workforce who work with full devotion and dedication that enhance our image as an employer friendly organization worldwide. Customer orientation, adoption of state-of-the-art technologies, strategic planning and innovation are integral to our business model. Our qualified quality assurance personnel ensure quality checks at every stage of production by carrying out mandatory micro biological tests. These tests are carried out in our in house laboratory and also periodically in government approved external laboratories. We strive for continuous improvement to enhance our productivity. 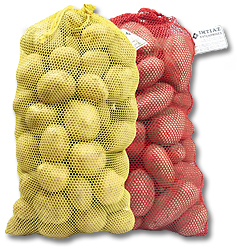 Our main focus is to use superior quality products. 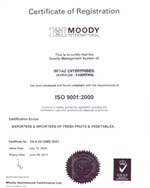 We endeavor to offer the highest level of satisfaction to our esteemed clients via our superior quality products. We combine nature, advanced equipment and scientific management to a new high level.